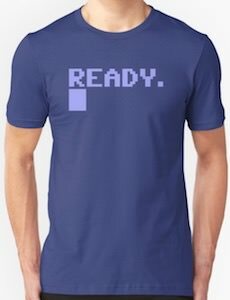 If you are a bit of a geek then you going to like this cursors ready t-shirt. 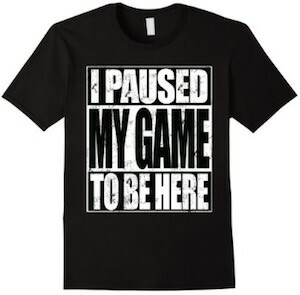 The t-shirt is unisex so it will look great on both men and women and it comes in 17 colors and in sizes Small – 3XL. 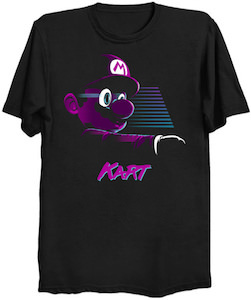 Yes, this shirt does bring back memories from the Commodore 64 as that is what you have seen on the screen as it simply said Ready and below it a blinking cursor. 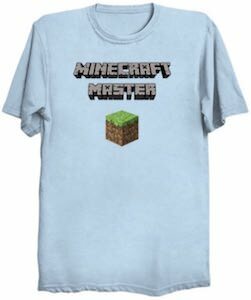 Wearing a t-shirt like this will bring back memories to the true geek and to other people it just looks like a fun shirt so come and get your Cursor Ready T-Shirt. 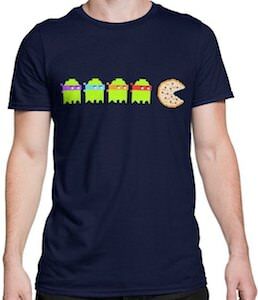 If you Pac Man and pizza then you have to check out this Pac Man meets TMNT t-shirt. The dark blue t-shirt shows four green ghosts and as you can see they wear the same masks as the Teenage Mutant Ninja Turtles and as Pac Man became a pizza I think they are the turtles dressed up to make it easier to sneak up on the pizza. 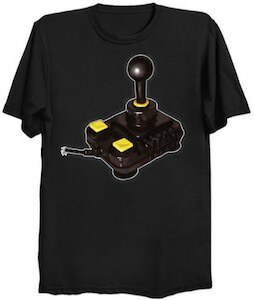 You can get this fun Pac Man t-shirt in men’s sizes Small – 3XL and the shirts are made from 100% cotton. So now you can have your favorite food being chased by green ghosts all on your new Pizza Pac Man Meets TMNT T-Shirt. No need to have cold feet because now there are circuit board socks. 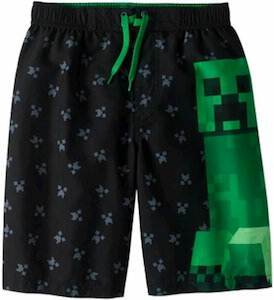 These socks look so much better then plain socks and they are a big geeky too. The socks are black and white with the toes and heel just being black. On the socks you can see in white a circuit board print that looks really cool against the black background of the socks. You can get these geeky socks in many sizes for both men and women. 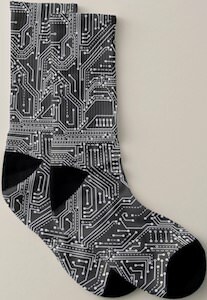 So now you just need to put on your socks and you are ready to be your nerdy self so don’t wait just come an order your Circuit Board Socks. Yes, this The Matrix t-shirt shows you the Matrix and that means you can look cool with a movie details on your body. 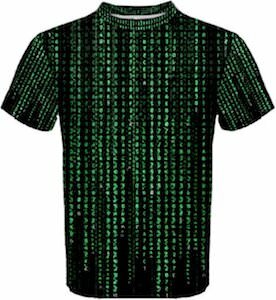 The Matrix t-shirt is an all over t-shirt and that means that is covered all over like the front, back, and the sleeves. And as you can see the black t-shirt shows in green all the characters just falling down just like you can remember from the now classic movie. You can get this Matrix t-shirt in men’s sizes XSmall – 3XL and is made from 90% cotton and 10% spandex. 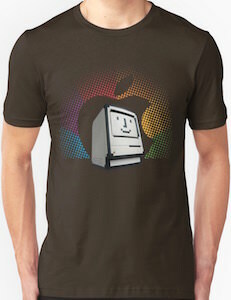 So bring the Matrix where ever you go by simply wearing this The Matrix T-Shirt.